Facebook founder Mark Zuckerberg has a dream to make Internet access available to everyone across the world - Zuckerberg argues Internet should be a service as essential as of 911 in the case of an emergency. In a blog post published Monday in The Wall Street Journal, founder of the social networking giant highlighted the future of universal Internet access, along with the steps he thinks to achieve it. Today 2.7 billion people, just over one-third of the world's population, have access to the Internet, Zuck said, and the adoption has been growing at a very lower rate, by less than 9% each year. The rest of the world’s 5 billion people who do not have access to Internet are lacking access due to issues such as high costs or improper infrastructure. One may think that Zuckerberg’s vision sounds like a self-interested push to gain more users for its social networking service, Facebook. But its true that the world is currently facing a growing technological divide, where more than 2 billion people live in the Digital Age and can access a vast universe of information, communicate with their friends and family, gain opportunity to participate in the global economy. But at the same time, the other 5 billion people are still stuck in the Paper Age. Zuckerberg thinks that the problem of about 90 percent of the world’s population isn’t a lack of a network but lack of affordable data plans. “For example, an iPhone with a two-year data plan in the U.S. costs about $2,000, where $500 to $600 is for the phone and about $1,500 is for the data,” Zuckerberg said in the WSJ article. According to a 2011 McKinsey & Co. report, the Internet has already accounted for a larger share of economic activity in many developed countries in comparison to agriculture and energy, and accounted 21 percent of Gross Domestic Product (GDP) growth in mature economies over the last five years. If the Internet were treated as its own sector, it would be a greater contributor to GDP than agriculture or utilities, as access to online tools lets people use information to do their jobs even in a better way, and as a result, will create more jobs, business and opportunities. Internet.org—a global partnership launched by Zuckerberg last year, along with other major information-technology leaders as well as nonprofit organizations and local communities—plans to bring those who are without Internet access into the Digital Age and is already under way to provide free basic Internet services world-wide. 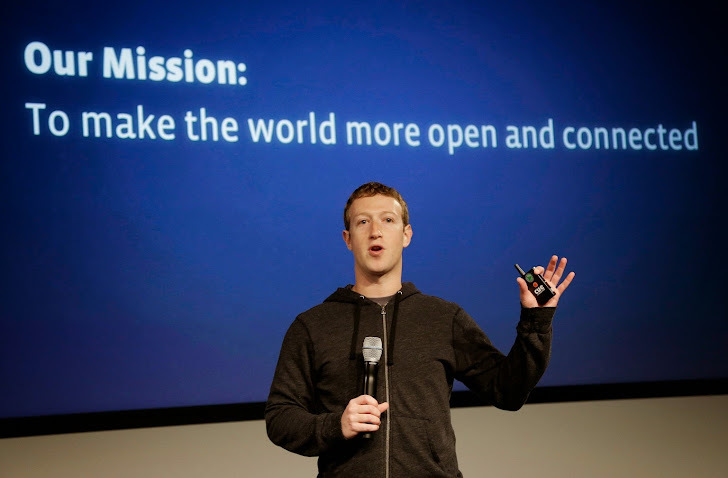 “The Internet will help drive human progress,” Zuckerberg said.